For Christmas, my sister gifted me with the titanium version of the C.Crane CCRadio 2E Enhanced AM/FM/WX/2-Meter Ham Band Radio. 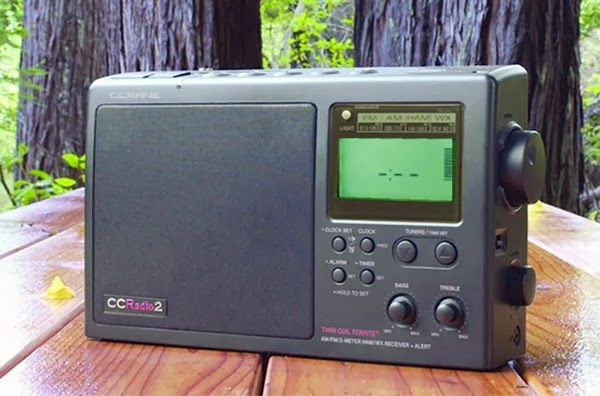 I was primarily interested in the AM and FM performance of the CCRadio 2E Enhanced. I have been using the CCRadio 2E Enhanced “barefoot,” that is, using only its stock antennas, although it does have screw terminals for connecting an external AM antenna. The performance of the CCRadio 2E Enhanced on AM and FM was amazing when matched up against the two radios I used for comparison --- both using external AM antennas. My comparison radios were the C.Crane CC SW Pocket AM/FM/SW Radio and the C.Crane CCRadio-SW AM/FM Shortwave Radio. I used the Terk AM Advantage Antenna with the former and the C.Crane Twin Coil Ferrite AM Antenna Signal Booster with the latter. These days, my favorite FM radio station is WLNG, 55 miles southeast in Sag Harbor, Long Island, New York. To receive WLNG on my comparison radios, I must fully extend the telescoping whip antenna of each radio and carefully adjust the position of each antenna to receive WLNG with a solid signal. With the CCRadio 2E Enhanced, I can receive a solid signal from WLNG without extending the telescoping whip antenna at all! No finicky antenna positioning is required; the antenna remains nested inside the case of the radio. The CCRadio 2E Enhanced is very sensitive on AM. It is probably the most sensitive AM receiver I have ever used. It hears stations that the comparison radios don't hear or do not hear very well. For example, when I logged WGGO is Western New York on 1590 kHz, the WGGO signal varied between S2 and S6 on the CCRadio 2E Enhanced. At the same time, WGGO was down in the mud (an S1 at best) on the CC SW Pocket and was imperceptible on the CCRadio-SW and note that both comparison radios were using external AM antennas, whereas the CCRadio 2E Enhanced was not! Selectivity is also very good with the CCRadio 2E Enhanced. 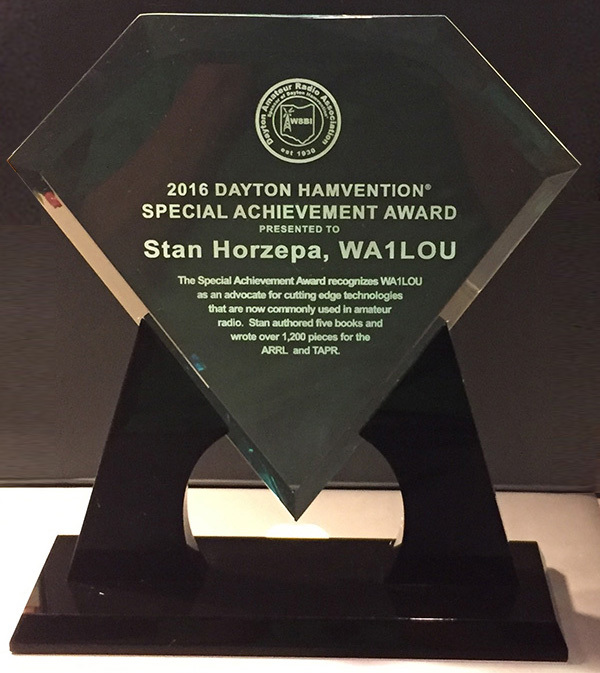 The only stations that cause any selectivity issues are a 1000-watt station less than two miles away (WPRX on 1120 kHz) and a 50,000-watt powerhouse 12 miles away (WTIC on 1080 kHz). WPRX splatter can be heard on 1110 and 1130 kHz and WTIC splatter can be heard on 1070 and 1090 kHz. I have logged other stations on 1090, 1110, and 1130 despite the splatter, but I have yet to log anything but WTIC splatter on 1070. When you change frequency, the radio fine tunes its antenna circuitry for the received signal on the new frequency. The Signal icon on the display flashes during this period of adjustment, which lasts 1 or 2 seconds. This takes a little getting used to. When I first started using the radio and changed frequency, finding no signal on the new frequency, I often changed frequency again without allowing the antenna circuitry to complete its fine tuning. I soon realized that I might have been missing something, so now I wait for the fine tuning to be completed before abandoning a "dead' frequency. The audio produced by the CCRadio 2E Enhanced is excellent. On the AM side, it is the best sound I have ever heard for an AM radio. It rivals the sound of FM radio. Even the weaker AM stations sound good! I live 7 miles line-of-sight of the nearest NOAA weather radio station, so after my experience receiving WLNG, it was no surprise that I was able to receive weather station WXJ-42 (162.400 MHz) in Meriden, CT, on the CCRadio 2E Enhanced without extending the radio's telescoping whip antenna at all. With the whip antenna fully extended, the radio also pulled in WWH-33 on 162.500 MHz in Cornwall, CT (24 miles), WXJ-41 on 162.475 MHz in Somers, CT (36 miles), and WXL-93 on 162.550 MHz in Paxton, Mass (70 miles). Although I am a ham, the ham band coverage (144-148 MHz FM) of the CCRadio 2E Enhanced was a nice feature, but it was not a "selling" point for me. I have a few ham radios that cover the 2-meter band and their scanning functions are better than that offered by the CCRadio 2E Enhanced. With the CCRadio 2E Enhanced, you can scan the whole band or the channels stored in the five memories. After you start a scan, the radio stops at the first active channel and stays on that channel until the channel is no longer active. That is all. The radio does provide a squelch function for the 2-meter band. There are a few things about the CCRadio 2E Enhanced that I do not like. By far, my biggest complaint is the frequency display. When you tune the radio, the radio displays the frequency, but when you stop tuning, the frequency disappears after a few seconds and displays the time, if the clock has been programmed or nothing, if the clock has not been programmed. To display the frequency again, you must press the Freq button momentarily and again, the frequency disappears after a few seconds and displays the time or nothing! When I am DXing, the frequency is much more important than the time of day, so I would prefer that the frequency was the default display, not the time. Or at least allow the user to select the default display. I could find no way to make frequency the default display and when I asked C.Crane about it, I never received a response. I never program the clock in the radio because I often unplug the radio from AC to move it to another location (and thus lose the programmed time). So when I use this beautiful radio, it sits there looking dumb with nothing but three hyphens and a colon (-:--) on its front panel display. This can be considered carelessness or a just-getting-used-to-the-radio issue on my part, but on more than one occasion, when I reached across the top of the radio either to adjust the position of the radio or to pick it up by its handle, I inadvertently pressed a memory button and thereby changed the frequency I was monitoring to whatever frequency was stored in that memory. While I was experimenting with the radio trying to find a way to set the frequency as the default display, I held down the Freq button for a few seconds and the radio went bonkers (or so it seemed). The Weather Alert light started flashing and the radio started changing frequency all on its own, not doing a band scan, but jumping from 1710 kHz to 1600 kHz to 1500 kHz and onwards. I pushed various buttons, but nothing would stop it, so I reset the radio using the reset switch on the bottom of the radio and then everything returned to normal. I consulted the manual, but nothing mentioned this feature, so I assumed that it was a quirk in the radio. While I was writing this review, I downloaded the manual from the C.Crane website and noticed that the electronic version of the manual added a section that mentions this "quirk." Rather than being a quirk, pressing the Freq button for about 5 seconds initiates the radio's Antenna Alignment Procedure. So it is not a quirk, but the Procedure was missing from the printed manual and left me a little concerned until I downloaded the updated pdf of the manual. I assume future print copies of the manual will also include this information. By the way, I was going to ask C.Crane about the "quirk" when I discovered it, but since they never answered my e-mail query concerning how to change the default time display, I did not bother with another e-mail. The C.Crane CCRadio 2E Enhanced is one of the best AM radios I have ever used and it is no slouch on FM either. The weather radio and 2-meter ham radio coverage is icing on the cake. However, I am very disappointed with its default time/nothing display and it might have been a deal breaker if I knew about this “feature” before asking my sister to gift the radio to me. Stan,how does it's AM compares against CC EP.That might be interesting to note. Sorry, I don't have access to a CC EP, so I can't compare. CCrane dropped the feature that allowed you to charge batteries in the radio. It was in earlier models of the CC radio. I can't imagine why, since batteries are so expensive and unless you rotate two sets of rechargeables, you l your settings while the batteries are out of the case. I can authoritatively compare the 2E to the EP as I own both. While the EP is impressive, and especially so given the price, the 2E is more sensitive on AM, and yet it boasts better resistance to overloading of strong local signals. I discovered that in most instances that the 2E and the EP appear to perform nearly identically when in moderate to high RFI environments. But get the two radios in a low RFI environment and that's where the differences really show! That's because in most cases RFI is the limiting factor in receiving extremely weak and distant signals. When I compared the two radios in a remote forest location where there was virtually no RFI, I was amazed at how much better the 2E performed over the EP. The 2E pulled in numerous AM signals loud and clear that appeared merely as whispers on the EP. Again, these differences only become very apparent when the two sets are used in extremely low RFI environments. Incidentally, regarding the FM performance of the 2E, it blows away that of the EP in terms of both sensitivity and selectivity! while the 2E may not be the most sensitive FM receiver I have used, it is by all means the most selective I have ever experienced! In my opinion, the benefits of its outstanding selectivity outweigh any lack of sensitivity I may have observed in the 2E. The 2E also costs twice as much as the EP. Bill, the GE SR II may sound a bit fuller and will likely go louder, but that's the only area it might outshine the CC2E. The CC2E has a remarkably clear and rich audio, even on extremely weak signals! The two models also have similar sensitivity on AM, but the CC2E provides much better selectivity. The CC2E resists overloading much better than the GE SR II as well. On FM, it's really no contest; the CC2E trounces the GE SR II with it's vastly superior sensitivity, and especially so with it's remarkable selectivity! But then, it should! It's in an entirely different class and costs $159! It had better perform well! Sorry, but I don't own a Superadio to compare. FWIW, I do own a GE Monitor 10 and the sound quality of the 2E is better than that GE. And as I wrote above, "The audio produced by the CCRadio 2E Enhanced is excellent. On the AM side, it is the best sound I have ever heard for an AM radio. It rivals the sound of FM radio. Even the weaker AM stations sound good!" Hello. I just bought this radio and I own the EP. I had to mail my EP back to ccrane because the tuning pod got loose and it would make tuning stations very hard and unenjoyable. I got the cc 2e a few hours ago and can't put it down. I have heard stations on it I have not heard at my location in Altamonte Springs FL. I have owned many radios over the past 10 years. I'm blind and this radio is one of the easiest digital radios I have used. Plus the audio is the best I have heard as well. Plus the selectivity is some of the best I have heard. Hi Austin. It's me again, Wayne. I just wanted to mention that here in Palm Coast just north of Daytona about five miles from the coast, I can pick up WCBS 880kHz out of New York City about 870 miles distant sporadically during daytime hours. For example, today at just after 12 noon, I picked them up on my CC2E. Although the signal was far from perfect and just barely above the noise floor, it was readable with a clear rich tone! As far as I'm concerned, that is positively remarkable! I could also pick up WCBS using my CCEP at the same time, although its audio was a bit more faint and had a somewhat raspy or grainy tone. I regard that as equally impressive considering the CCEP cost less than $100. C. Crane has really set the bar high, and I personally regard the CC2E as the best performing portable FM and AM radio ever made to date! As a sidenote, I gave this testimony in a review I presented on the C. Crane website. They altered my review slightly removing the bit about receiving WCBS during mid-day hours. I suspect they did that to avoid allegations of misrepresentation of their product. Hindsight being 2020, I can certainly understand why they would do that. And average person who knows nothing about a.m. DX would have no idea how to get the most out of the Radio. To achieve the kind of results I do, one must be very familiar with the operation of their radio, be in an environment relatively free of RFI, and exercise a very good listening skills. Using the preset buttons on the top of the CC2E, I created a crude Q-Tune system, which allows for quick tuning. As an example, if I want to tune FM 104.5, I would press preset 5 and then arrow down to the desired frequency. If I wanted AM 930, I would press preset 2 and then arrow up to the desired frequency. Despite the excellent performance of the CC2E, it sure could use a physical upgrade including a numeric keypad to directly enter the desired frequencies. However, if it ain't broke, don't fix it. The CC2E is the finest FM / AM portable radio I have ever had the pleasure to use and own! I reread Stan's review and was reminded that C. Crane has been making subtle improvements over the past few years in the form of firmware updates and possibly other things as well. The firmware version can be displayed by pressing and holding down the band selector button for several seconds with the set powered odd. I have two CC2E sets, one made in September 2013 and the other in October 2016. The set made in 2013 displays firmware version "113" and the set made in 2016 displays firmware version "P04". Well, the default time display on the "P04" set can be toggled to default frequency display. Its accomplished by powering on the set, and then pressing and holding the clock set button and then pressing preset 1. Hard to believe but true, my "P04" set is a hair more sensitive on AM than my "113" set. 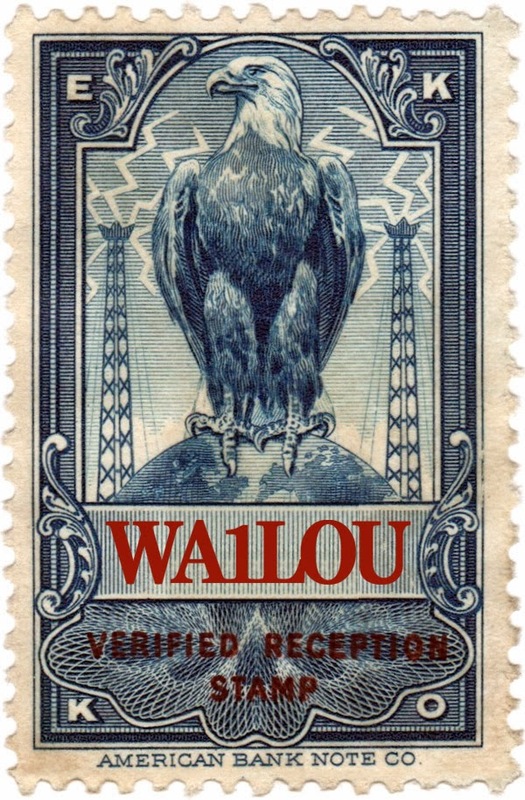 A distant signal received with three bars on the "113" set will be received with four bars on the "P04" set and with a slightly lower noise floor. Furthermore, the "P04" set has slightly more robust audio. What could account for these extremely subtle differences in performance? My guess is that because these two otherwise identical CC2E models were manufactured three years apart, they likely have some differing internal components. Sample to sample variations may also be a play. Mine is 118. That is probably the rev when they added the time/frequency display option. Mine CC2E MFG/2016 is Po6, I assume this shows product's year made ? While I am certainly not an expert on antenna installation, I could see where grounding a radio could improve AM reception in some instances. Nowadays if I want to significantly boost AM gain, especially on cheaper radios and when enjoying midday DX, I do so with a passive loop antenna inductively coupled to the radio's ferrite bar antenna. I forgot to say in the old days, home electrical outlet has only 2 prongs which is (+)HOT/Short slot and (-)Neutral/Long slot, I think this (-)Neutral is electrical system Gnd and this Gnd is the one I used for antenna. In 3 prongs outlet the third big halfmoon round prong is also ground but I think it is "earth ground" not good for antenna but good for motor equipment and for lightning storm. Just a thought.